Winter is the perfect time to inject a touch of warmth and personality to your interior décor. Here are five colours that will heat up your home’s look. As the winter chill arrives in the Southern Hemisphere there is more that we can do to our interior decor schemes than bringing out the heater. Winter is an opportunity to uplift our homes and our lives with some trending colours that will create a warm and cosy atmosphere. Colours on the warm side of the colour wheel include tints and shades of red, orange and yellow. These colours remind us of fire and sunlight and are ideal to introduce into our home during the winter months as they add a touch of warmth and personality. 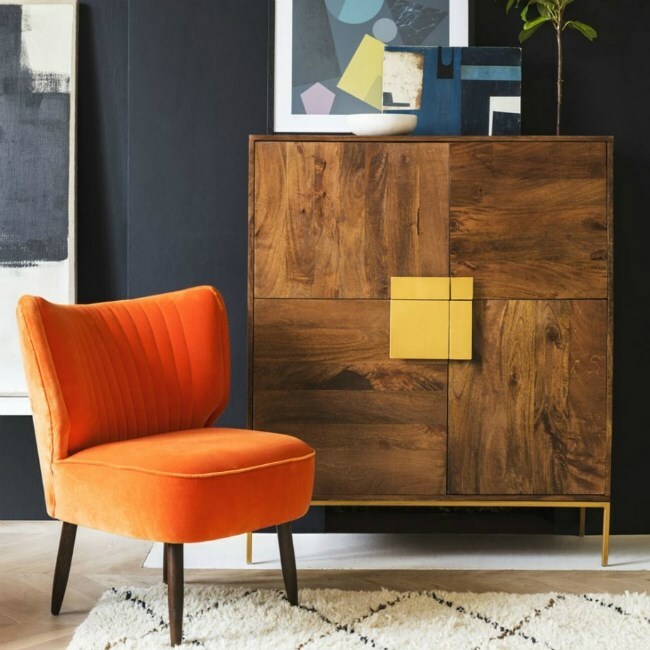 There are many ways you can add warm colours into your decor, you can introduce them in art, fabrics, furniture, accessories, feature walls or perhaps your front door. Here are 5 warm colours we to inspire you. Terracotta is hot right now in interiors (excuse the pun). This rich earthy colour works well with other neutrals to create a warm and cosy atmosphere. In addition to being a unique wall colour, terracotta looks beautiful in different textures of fabrics. Think about terracotta cushions or a bed throw which will add instant warmth to a decor scheme. Grey has been trending for quite a few years now, however in winter an all grey scheme can be cold and depressing. Orange is not only a warm colour but it has a friendly and creative energy. Adding an orange accent to a grey scheme will add warmth and personality to a space. The colour of sunshine yellow is one of the warmest and most uplifting colours in the spectrum. Yellow is making a comeback in interiors and it's friendly and sociable traits make it the perfect colour to introduce if you would like to warm up your scheme. 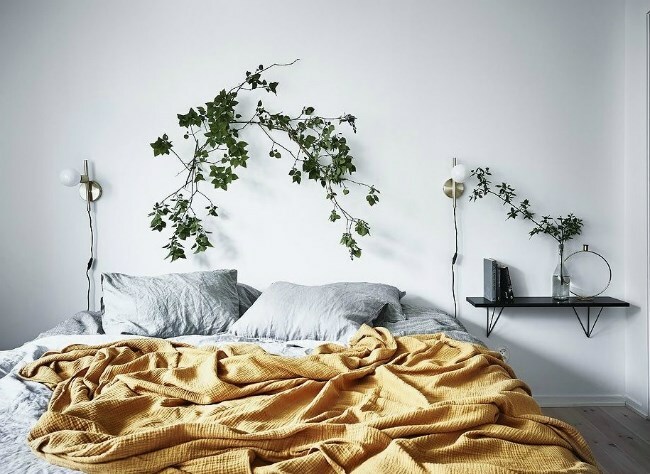 While yellow can be overpowering as a wall colour in a bedroom, adding a mustard throw on your bed will add warmth and life to the scheme. Greige is a mix of grey and beige, this mix of two neutrals has resulted in greige being one of the best-selling paint colours. While grey is elegant and stylish, selecting the right grey is not easy and you can end up with a cold scheme – hence the growing popularity of greige. Beige is warmer than white, but it can be too yellow or just plain boring. The mix of grey and beige however solves this problem as you get a contemporary colour that is not boring or cold. You can decide if you want the colour closer to grey -making it cooler or closer to beige making it warmer. 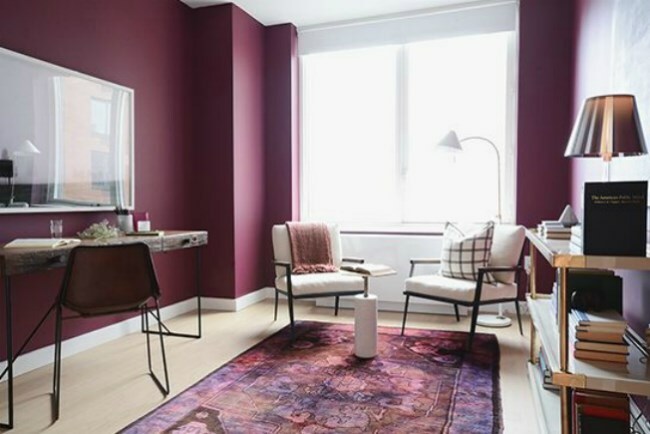 Burgundy brings warmth, elegance and luxury to an interior, whether you use it on a big area like a feature wall, or in smaller areas like fabrics and accessories. Burgundy has a more sophisticated feel than the more energetic and dramatic red. Deep warm colours advance - painting a wall burgundy for instance, will make the wall appear closer than it is. 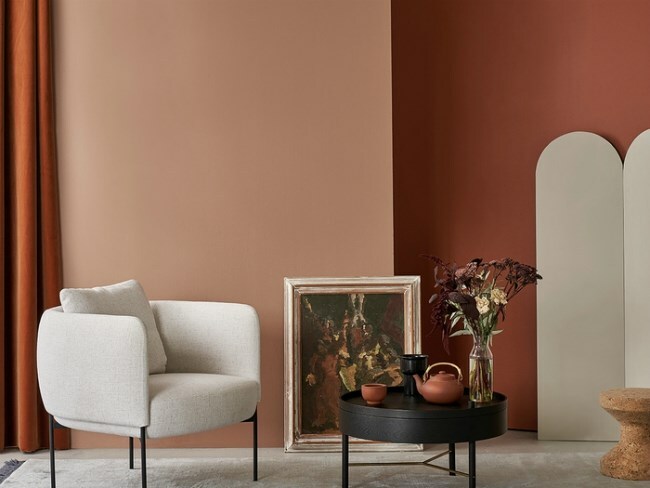 This works to your advantage in large rooms where you want to create an intimate space, or if you use a warm colour at the end of a narrow room, this will make the room appear less narrow. Warm colours are friendly and sociable, shades of red and orange are also said to increase the appetite making these colours ideal for a kitchen, dining room or entrance hall. Remember to balance your decor scheme. If it looks too warm, balance the scheme by adding a cool complementary colour. For instance add a touch of blue to a warm a terracotta scheme. For more information on colour scheming see Creating Colour Harmony. Tired of the rat race? Here’s how to make your home a sanctuary, without turning it into a yoga studio.